One rolled-steel pastry sheet is included with each Lacanche oven. Pictured is a 13″x19″ Sully sheet on corresponding oven rack. Preferred by pastry chefs for their superior performance over aluminum, each allows even airflow around all four sides. 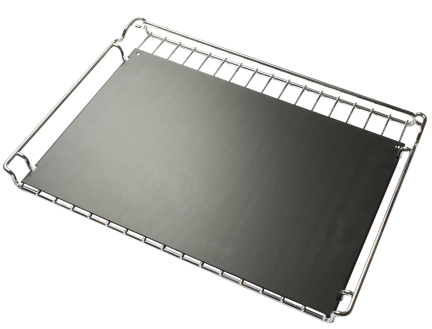 One 15″x15″ steel pastry sheet is included with each Cluny oven.